The transformation to Material Design of apps from Google is unstoppable, as they have to be ready for the official release of Android L, which appears to be just around the corner. We have seen in recent months, from the Google I / O, how apps have changed gradually, but now we are in the final stretch, and aesthetics is being defined. Note: It seems for now the app has some issues on L preview devices. The overflow menu crashes the app, and there are a few strange UI abnormalities. We aren't quite sure if this is a problem with the app or the specific APK we have, but we'll keep you updated if anything changes. 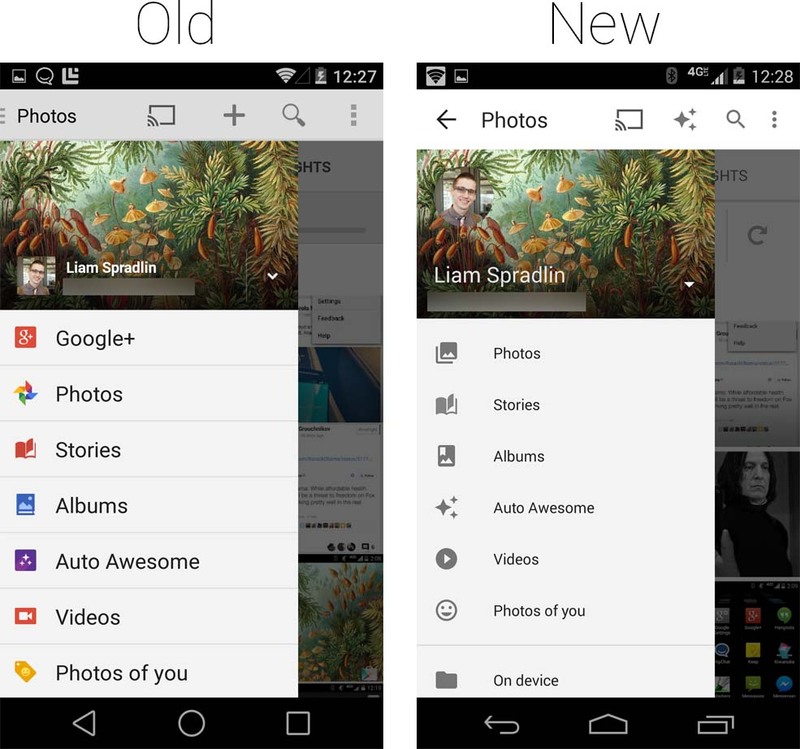 The Google+ app started getting its dose of Material Design before the summer, but the surprise update today reach many more new features, and many aspects are already defined in a more definitive way. This is version 4.6 has new icon. Now have a much closer to Material Design style with this feature long shadow that we used to, since it seems to be omnipresent. 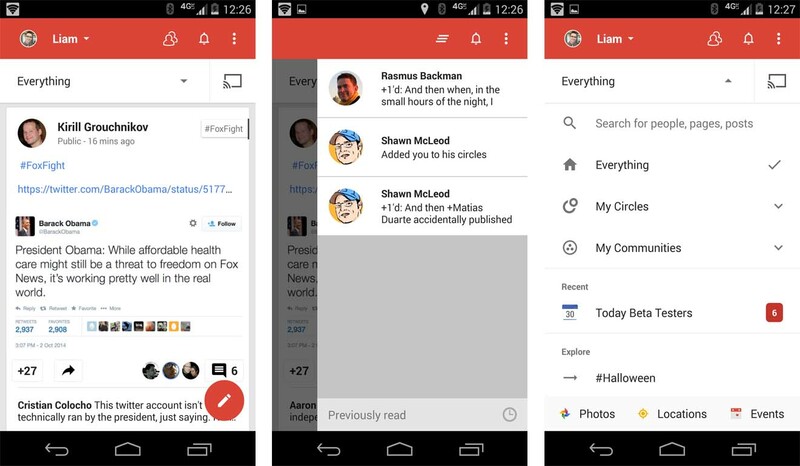 When you open the application you will realize that the red that characterizes Google+ is much more vivid and bright, and icons have been simplified and have suffered, more in line with chromatic remodeling parameters Material Design. In terms of functionality, Google+ still has a somewhat confusing Google Photos interaction has also been remodeled, making the sliding panel on the left now respond with an animation own Android L much more dramatic, with a smoother transition and Animated. You will see that icons here have changed, feel now gray and accentuating features Auto Awesome stories, etc ...The update is coming officially to Android via update, but if you are impatient you can get by downloading the following APK.